Retro games today walk a careful line of showing the high points of old school design without showcasing why we moved away from them. 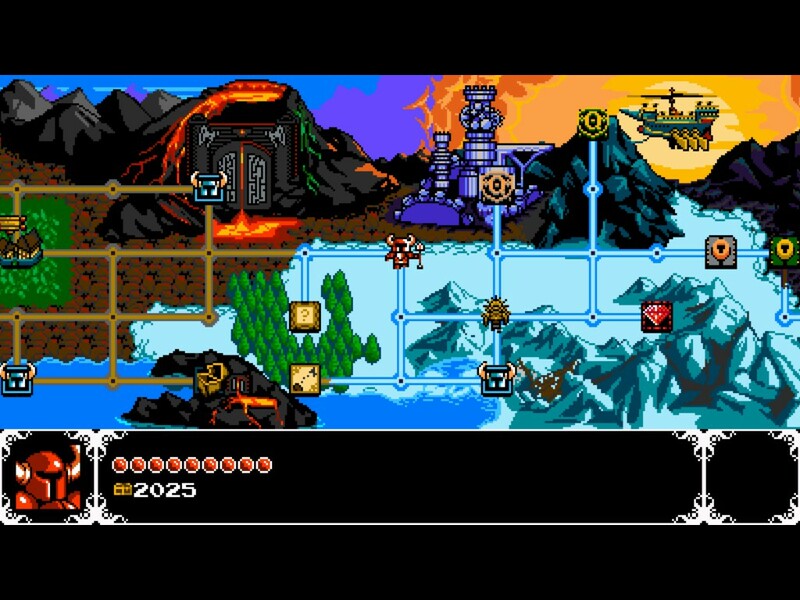 Yacht Club Games’ first title attempts to show us a brand new game straight out of the late 80s and early 90s and Shovel Knight succeeds on that front. 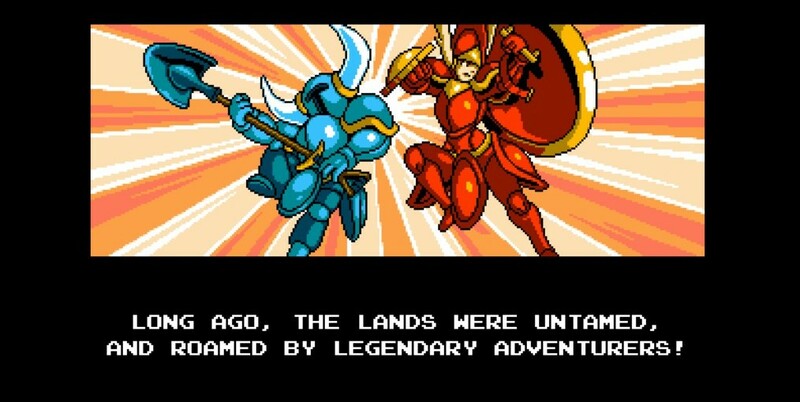 The story of Shovel Knight is about the titled hero Shovel Knight who along with his companion Shield Knight were great heroes. 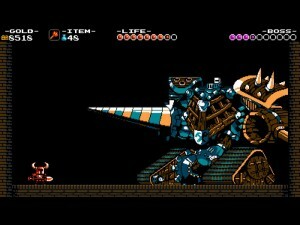 When Shield Knight is lost in a mysterious tower, Shovel Knight retires until one day evil is once again attacking and it’s up to him to take up his shovel blade to save the day. In case you haven’t figured it out from the screenshots, Shovel Knight is old school to a tee, looking like a long lost title from the NES era. Shovel Knight can attack both by swinging his shovel and using it similar to the pogo jump from Ducktales. Each area is full of secrets, hidden items and gems to collect which the player can use to upgrade themselves at the two towns on the map. What makes Shovel Knight truly work is that the level design is the star of the show. Shovel Knight may have been released this year, but it features level design similar to some of the best games made during the NES era. Having grown up playing titles like Mega Man, Mario etc, it was interesting to see specific level designs mirror or pay homage to these classic games. Boss design feels like a who’s who from classic games. The world map is just like Super Mario Bros 3’s map right down to the chance of running into an encounter on the map and having to fight. One section for instance is just like the dragon boss from Mega Man 2 where players had to navigate suspended platforms to get away. And of course each boss has a super power similar to Mega Man. 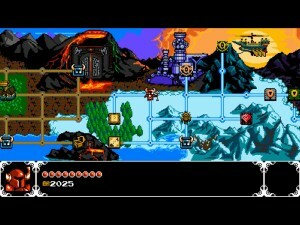 But Shovel Knight does draw from other classic series with more advanced sections and challenges. What’s very impressive is how the developers were able to show these classic level designs without falling back on overly difficult sections that would slow down the pace. There’s no section here like Quick Man’s laser beam of death area from Mega Man 2. Now that doesn’t mean that Shovel Knight is completely easy, later levels do get more challenging with harder sections and more time between checkpoints. 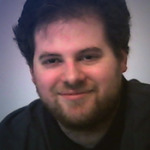 Shovel Knight’s adherence to classic game design presents an interesting problem — How do I critique a game for making use of old school design when that was the point of its development? Shovel Knight is truly a love letter to old school games and at the same time it makes it so that a lot of my complaints are not valid. I can’t complain that later levels were extremely difficult because I remember the Dr. Willy stages from the Mega Man series. Every part of Shovel Knight feels hand crafted to pay homage to the games we grew up with. The pacing of Shovel Knight was well done as well, clocking in at about 3 hours for my first run. This was one of those games where I could see them just adding in levels for the sake of it, but they were smart to focus on making each level unique and the best that it could be. Again, a short playtime may be a complaint of modern games, but this was the usual playtime for classic games. The only thing that I would have liked different would be a way to cancel out of your pogo attack. When you start dealing with destructible blocks, it’s very easy to forget to swing your weapon and have you go straight through into a pit. 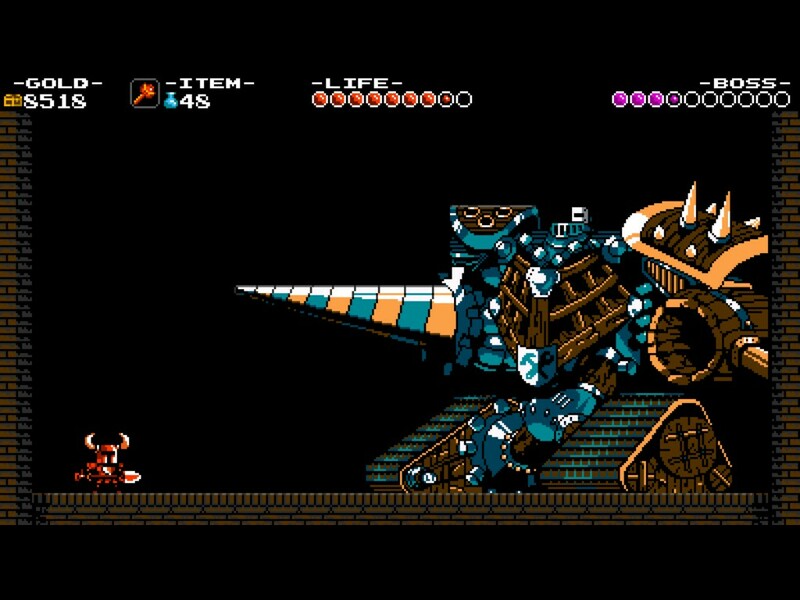 Shovel Knight is a perfect encapsulation of old school game design and definitely a must play for anyone interested in the mechanics and design of yesteryear. I don’t know what the future holds for it and whether Yacht Club will continue updating it or move on to sequels, but hopefully this isn’t the last we’ll see of Shovel Knight.